Made in the USA. The term gets thrown around a lot, but what does it really mean? We take pride in URB-E's American heritage, so we wanted to share the story of our roots with you. Why would a company begin its operations in California? The numbers show that workers and companies are leaving California in droves, with little projected relief. There are plenty of articles about the positives of manufacturing overseas, and many companies are either relocating away from California or importing materials from abroad. 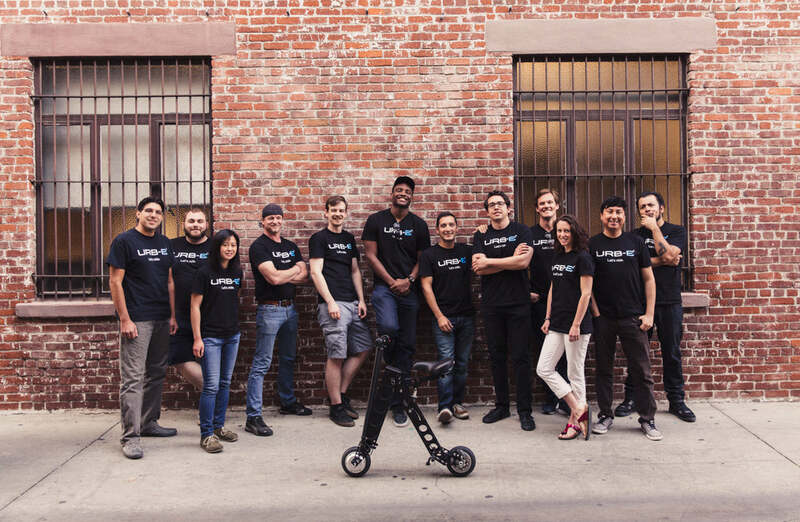 URB-E decided that it was worth the investment to build our personal electric vehicles right here in Pasadena. Why? Because we found great suppliers, amazing workers, and want to be held personally accountable for every part of the URB-E. You can say that the extra money we spend buys us peace of mind, because we know that every electric vehicle that leaves our headquarters is one of the best in the world. Check out our video below, showing the start to finish of a day at the URB-E production line. Early prototypes of the URB-E frame included parts from China, but we found that we couldn't guarantee the quality, durability, and safety of the material we were using. 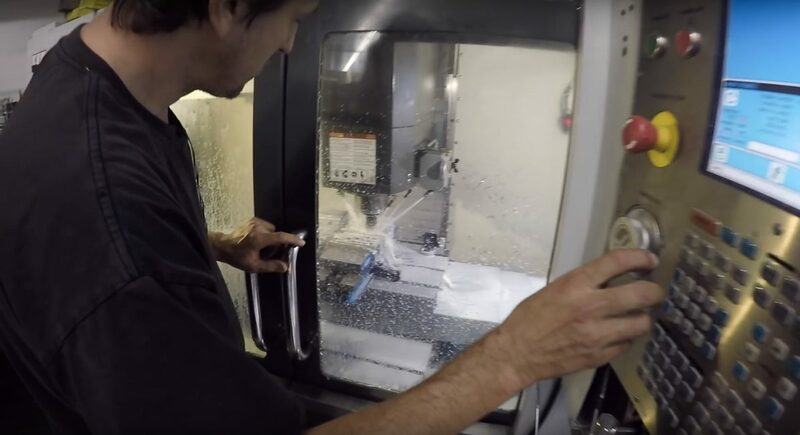 California has a long tradition of producing sophisticated parts for the aircraft and vehicle industries, but few young California companies are taking advantage of the history of quality parts right in their backyard. URBAN626 decided to take on the challenge of overseeing the entirety of URB-E's production by moving it to California–a big responsibility for a small company, but one that was necessary to ensure URB-E’s quality. 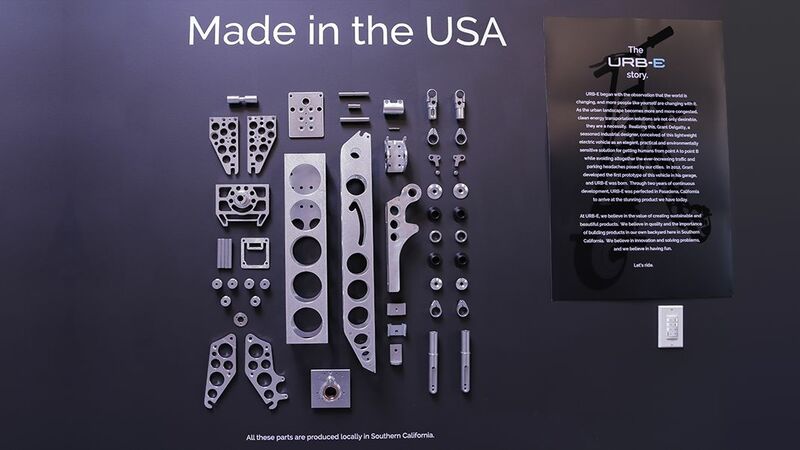 So from the URB-E's launch to today, the 6061 aircraft-grade aluminum used in every URB-E comes from a factory right here in Southern California. If we're not satisfied with a part or we're prototyping a new model, we just have to drive down the road to see our supplier in action. And that means if a rider has a problem with their URB-E, we're guaranteed to have the answers. 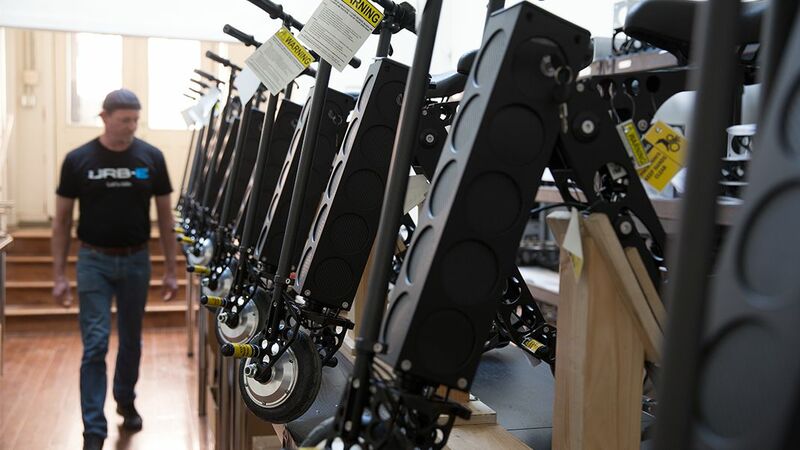 Every URB-E is assembled by hand in our Old Town Pasadena shop. When you do everything by hand, you become dedicated to the quality of the product and feel pride for each URB-E built. You also stand tall knowing that you just built a vehicle that can be shipped to one of dozens of countries around the world. When people think of vehicle production, they often think of a big warehouse far removed from daily life. Not so for URB-E. Our assembly line is right in the heart of Old Town Pasadena–just one block from City Hall–where we can keep a finger on the pulse of daily life and urban innovation. Our vehicle craftsmen leave at the end of the day and either ride home on an URB-E or see Pasadena residents riding right outside the production facility's front door. So when we say goodbye to a freshly-built URB-E, they're never too far from the top of our minds. Our production facility is staffed by a team of creative workers who are each capable of working at every step of our production line. Having a team of locally-based, well-skilled workers means that quality control is at the forefront of every effort here at URB-E. Each member of the team is responsible for the quality of each URB-E, so our team is truly dedicated to building a superior product. 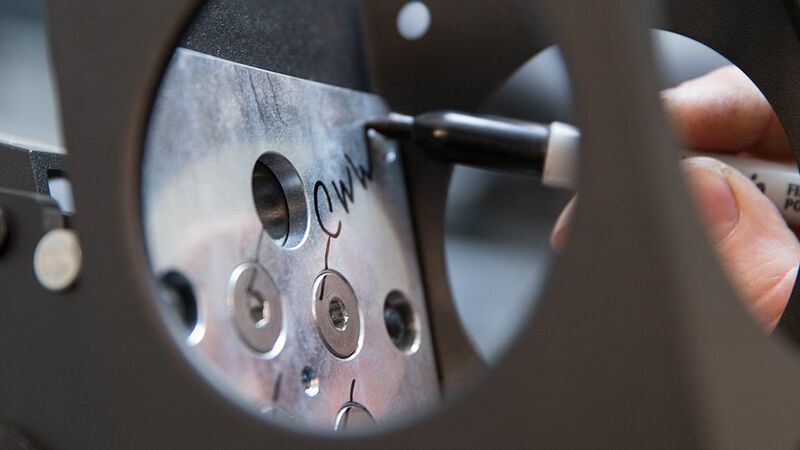 Before an URB-E is sold, it goes through a 40-point quality control inspection, where our quality experts test and re-test to ensure every part is in perfect condition. Each URB-E is signed off and recorded by our production team. When someone receives a new URB-E, they are getting a vehicle that has been rigorously tested and cared for by a dedicated team. For us, “Made in America” doesn’t stop when your URB-E goes out the door. 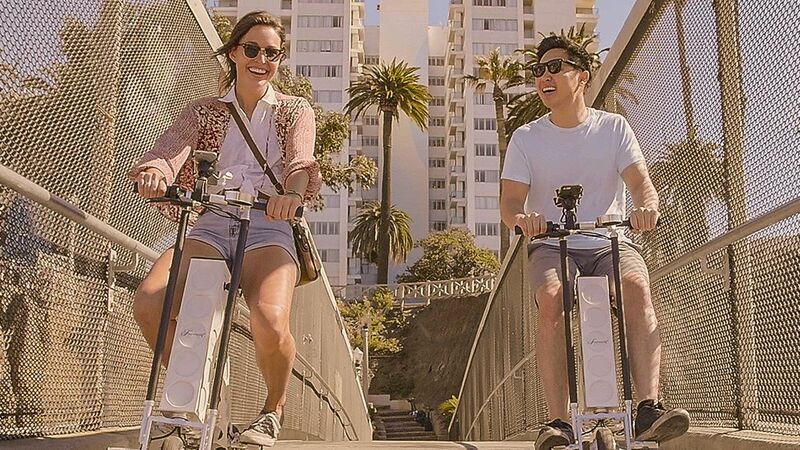 Every URB-E has a 1-year warranty for manufacturer defects, and we’re here to answer any questions our riders might have. We pride ourselves on excellent customer service not just because it keeps our customers happy, but because it helps us grow. Part of being “Made in America” means that we’re connected to the real people that use URB-E day in and day out, and that we’re flexible enough to catch anything that isn’t perfect, and fix it at the source. To learn more about the decision to build URB-E in the USA, watch this video of our CCO Grant Delgatty and CTO Sven Etzelsberger, or read an interview with our CEO Peter Lee on developing a supply chain. Questions about URB-E? Call us at or email support@urban626.com.